The International Conference on Clinical Chemistry and Laboratory Medicine is the most prestigious and influential chemistry platform in Asia and is the ideal place to learn about the latest science, network with colleagues and keep pace with today’s rapid developments in clinical chemistry and medicine research. Clinical Chemistry 2019 will be held in Singapore from November 22-23, 2019, and it gives us great pleasure to invite participants from all over the world to exchange knowledge and share their experiences and innovations with it on every aspect of Chemistry along with its developments. Clinical Chemistry Conference will bring together researchers and clinicians to help bridge the gap between research innovation and clinical implementation. Investigating the Emerging Trends in the Realm of Clinical Chemistry is the over-arching goal of Clinical Chemistry Congress 2019 and efforts to achieve this important objective will be led by our conference chairs/co-chairs, and committee members. This event will be a truly integrated congress leveraging the expertise of the entire scientific committee and faculty speakers, with delegates benefiting from a wealth of knowledge across professions and clinical advancements. We represent the interests of more than 23,000 chemistry professionals including clinicians, researchers, scientists and patient advocates, alongside colleagues from many other disciplines. More than 200+professionals from 50+counties are expected to attend Clinical Chemistry 2019 and we are looking forward to welcoming more colleagues than ever before from the basic science community to help broaden our knowledge of chemistry and medicine. We encourage you to actively participate by submitting your original research in order to stimulate the important collaborative discussions that clinical chemistry, as well as earning your work the recognition and visibility it deserves. We invite you save the date for Clinical Chemistry 2019, and look forward to seeing you there. An application of Biochemistry, Clinical Chemistry deals with the analysis of bodily fluids for diagnostic and therapeutic purposes. 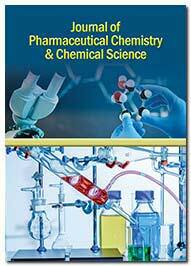 Unlike Medicinal chemistry, Clinical Chemistry is not involved with basic research for drug development. This area of chemistry is also called as clinical biochemistry, chemical pathology or medical biochemistry. With the advancement in technology, many developments have been made in clinical chemistry including the use and measurement of enzyme activities, spectrophotometry, electrophoresis, and immunoassay. This field introduces blood tests and clinical urine tests with extensive diagnostic capabilities, whose performance is monitored closely and is quality controlled. These tests are used in testing metabolic functions which detects diseases such as diabetes and drugs-of-abuse testing. Clinical analysers are automated devices that is used to analyse body fluids such as blood serum, plasma, and urine using mechanisms such as latex agglutination, photometric & colorimetric testing and ion selective potentiometry. A laboratory where tests are carried out on clinical specimens to obtain information about the health of a patient to aid in diagnosis, treatment, and prevention of disease is a medical laboratory or clinical laboratory. Research laboratories focus on basic science where as Clinical Medical laboratories are an example of applied science. Depending on the size and complexity of the Medical laboratory, they offer a variety of testing services. At acute-care hospitals and medical centres 70% of clinical decisions are based on laboratory testing. Long-term care facilities, with doctors and clinics will have laboratories that provide more basic testing services. Laboratory tests can dispense data that help doctors to display initial danger, accordingly choose preventive and less-invasive actions, detect acceptable remedy, and follow the nemesis of diseases. Laboratory medicine is allocated by the Department of Pathology, and generally divided into two sections called Anatomic pathology and Clinical pathology. Clinical pathology can be further divided into Clinical Microbiology, Clinical Chemistry, Haematology, Molecular diagnostics DNA testing and Reproductive biology testing. The study of health and illness in people, where we learn how to prevent, diagnose and treat illness is Clinical research. It helps translate research done in labs into new treatments that benefits the patients. From clinical trials, to research in physiology , epidemiology and pathophysiology, health services, education, outcomes and mental health, falls under Clinical Research. Clinical trials are long, careful process that takes years to complete and is usually done to determine if new drugs are safe and effective. Initially the new treatment is tested in the lab, then tested in animals. If it has promising results, then it is treated in people via a clinical trial. Depending on what the researchers are studying, clinical research is categorized into different kinds such as Treatment Research, Diagnostic Research, Prevention Research, Screening Research, Genetic studies, Quality of Life Research and Epidemiological. On the other hand, Clinical pathology covers a wide range of laboratory functions and is concerned with the diagnosis, treatment, and prevention of diseases. Healthcare providers with special training, who often direct all of the special divisions of the lab are Clinical pathologists. This includes clinical chemistry and biology, blood bank, immunology and serology, toxicology, hematology and microbiology. Maintenance of information systems, research, and quality control are also involved with Clinical pathology. The other branches of pathology include Anatomic pathology, Cytopathology, Forensic pathology and Molecular pathology. Related Conferences: International Conference and Exhibition on Polymer Chemistry November 14-16, 2016 Atlanta, USA | International Conference on Materials Chemistry March 31-Apr 1, 2016 Valencia, Spain | 2nd International Conference and Exhibition on Materials Chemistry, July 13-14, 2017 Berlin, Germany | 3rd International Conference on Organic & Inorganic Chemistry, July 24-26, 2017 Chicago, Illinois, USA | International Conference on Nuclear Chemistry, December 8-9, 2016 San Antonio, Texas, USA | Applied Nanotechnology and Nanoscience International Conference 2016 (ANNIC 2016), November 9-11, 2016, Universitat Pompeu Fabra, Barcelona, Spain | 36th Australasian Polymer Symposium, 20 - 23 November 2016, Lorne, Australia | The 2nd International Conference on Polymer Physics and Chemistry (ICPPC 2016), December 1-3, 2016, Sanya, China | Additive Manufacturing and Functional Polymeric Materials Conference, 23 - 26 June 2017, Albufeira, Portugal | 8th International Conference on Advanced Materials and Nanotechnology (AMN8), 12 - 16 February 2017, Queenstown, New Zealand | Austrian Working Group for Clinical Pharmacology and Therapy, Australian Physiological and Pharmacological Society | Australian Medical Association. Clinical Biochemistry helps to diagnose and manage disease through the analysis of blood, urine and other body fluids. The results from chemical and biochemical analyses is used to produce and validate the diagnosis. It focuses on what’s happening inside cells, deliberating components like proteins, lipids and organelles. It also focuses on how cells communicate with each other, for example during growth or fighting sickness. Biochemists need to understand the structure of a molecule and its function, which in turn allows them to predict how molecules interact. Clinical genomics also referred to as Clinicogenomics, is the study and observation of clinical outcomes with genomic data. Genomic factors have a causal impact on clinical data. Clinicogenomics uses the complete genome of a patient to diagnose diseases and adjust medications exclusively for that patient. Whole genome testing can notice more mutations and structural abnormalities rather than targeted gene testing. Furthermore, targeted gene testing can only detect the diseases for which the doctor screens, whereas testing the whole genome, screens for all diseases with known markers at once. Immunology is an important stream of biology that deals with the complete study of immune systems in all organisms. Immunology charts, scales and scrutinizes the physiological functioning of the immune system in states of both health and diseases, malfunctions of the immune system in immunological disorders like hypersensitive immune deficiency, autoimmune diseases and transplant rejection the physiological, physical, chemical characteristics of the components of the immune system in vitro, in situ, and in vivo. Immunology has various applications in numerous disciplines of medicine, especially in the fields of organ transplantation, oncology, rheumatology, virology, bacteriology, parasitology, psychiatry, and dermatology. Clinical microbiology is a significant field of scientific study that includes the study of various parameters of bacteria, viruses, and parasites in connection with disease and illness. Clinical microbiology is a great field for those interested in biology and working to better understand disease and illness. In addition, this field of science studies various clinical applications of microbes for the betterment of health. It has been proved that there are four kinds of microorganisms that cause infectious diseases. They are Bacteria, fungi, parasites and viruses and one type of infectious protein called prion. The study of the patterns, causes, and effects of health and disease conditions in populations called Epidemiology is one of the important streams of clinical microbiology. Devices that employ biological/ biochemical reactions for detecting target analytes are Biosensors. The device consists of a transducer and a biocatalyst. A cell, tissue, enzyme or even an oligonucleotide acts as the biocatalyst. The transducers are mainly amperometric, potentiometric or optical. 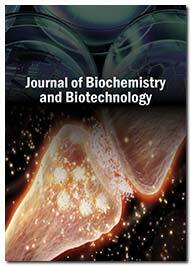 The classification of biosensors is based on the intimacy between the biocatalyst and the transducer, and the nature of the recognition event. The censor technologies may be responsible for up to 25% of chemistry determinations performed in clinical settings. The last 5 years have seen this technology mature to the extent that a number of important analytes such as cardiac markers, drugs and infectious agents are now determined using commercially available biosensors. In the future we are likely to see biosensors that utilise the technology and clinical information emerging from the human genome project so called Gene-Chips or arrays. Despite the undoubted impact that Genomics will have on disease diagnosis and management it is possible that the most important biosensor technology will continue to be glucose measurements for some considerable time in the future. The incidence of diabetes is predicted to increase significantly and the importance of regular glucose measurements has been well established. The branch of clinical chemistry and clinical pharmacology that specializes in the measurement of medication concentrations in blood is Therapeutic drug monitoring (TDM). The main goal of Therapeutic Drug Monitoring is to use drug concentrations to manage a patient's medication regimen and optimize outcome. To measure the concentration of a therapeutic drug in a blood sample and relate this number to a therapeutic range published in the literature is the main role of drug assay laboratories. Physiological indices of therapeutic responses for e.g. lipid concentrations, blood glucose, blood pressure, clotting tests are routinely monitored by Clinicians to understand the drug pharmacodynamics. In situations where it is difficult to distinguish between the progress of the disease and the pharmacological effects of a drug, TDM is an essential tool. Testing for infectious diseases, genetic tests for inherited diseases, oncology test and testing for predisposition to disease linked to disease states, where the test involves detection of specific molecules, such as DNA, antibodies, or proteins. To diagnose infectious diseases, microbial assays have been used, genetic tests have been used for inherited diseases, in the field of oncology, DNA tests have been used for screening for cancer, qualitative nucleic acid tests have been used for confirmation of hepatitis C virus infection and for screening blood donations. Molecular diagnostic test requires both analytical and clinical evaluations. These techniques apply molecular biology for medical testing to diagnose symptomatic individuals, screen asymptomatic individuals, monitor disease, provide prognosis in diseased patients, detect risk, and select patients for specific therapies. Advancement in micro fabrication technology have led to the development of quick, sensitive and selective electrochemical sensors for clinic analysis. Electrochemical sensors are used in the analysis of clinical chemicals such as blood gases, electrolytes, metabolites, DNA and antibodies, including basic and applied research. Unlike the past, sophisticated analytical capabilities is brought to general public using Miniaturized commercial electrochemical bio sensors. Instrument design has witnessed a rapid expansion due to the usage of electrochemical sensors, in order to determine the concentration of substances and other parameters of biological interest. Potentiometric, amperometric, or conductivity measurements are what Electrochemical sensors are based upon. Depending upon the principle, the electrochemical cell is designed specifically. The growing economy is shifting diagnostic testing from hospitals and commercial laboratories nearer to the patient. Advancements in diagnostic technologies, intense competition among suppliers and physicians, and changing consumer demands are all seeds to the increase in demand. New stringent regulations, advances in diagnostic technologies, system engineering, automation, and IT are reasons why clinical chemistry is undergoing significant transformation. The advancing marketplace creates exciting opportunities for a variety of reagent systems, new instruments, auxiliary products, such as specimen preparation devices,and calibrators. Clinical Chemistry reagents has an extensive menu of chemistry reagents which offers high quality, long life and exceptional performance. Clinical Pharmacology and Toxicology Research is subject that reflects topics on all types of chemically distinctive therapeutic and toxic agents. This includes toxicology and experimental animal pharmacology and molecular genetics, biochemical and cellular pharmacology and toxicology. It also involves all aspects of clinical pharmacology such as pharmacokinetics, pharmacodynamics, therapeutic drug monitoring, drug/drug interactions, pharmacogenetics/-genomics, pharmacoepidemiology, pharmacovigilance, pharmacoeconomics, randomized controlled clinical trials and rational pharmacotherapy. For all compounds which are used in the studies, the chemical constitution and composition should be known, also for natural compounds. Clinical pharmacy is one of the branches of pharmacy which deals with the patient's care and medication and enhances health, wellness and disease inhibition. Clinical pharmacists must have wide education in all of the biomedical, pharmaceutical, and clinical sciences. Clinical Pharmacy consists of all the services accomplished by pharmacists practicing in hospitals, community pharmacies, nursing homes, home-based care services, clinics and any other setting wherever medicines are prescribed and used. The term "clinical" doesn't suggest an action implemented in a hospital setting. It denotes that the type of activity is linked to the Patient's health. This indicates that community pharmacists and hospital pharmacists both can accomplish clinical pharmacy activities. Routine clinical chemistry comprises 30 to 40 tests of substrates, metabolites, electrolytes, blood gases, enzymes and lipids that can be organized into panels for speciality patient investigation and general patient screening. Common speciality panels include those for renal clearance, liver function, and metabolic status. Clinical chemistries are performed on analyzers with varied levels of automation depending on the test volume run at a particular test site. The market for routine clinical chemistries can be divided into high and low volume users. High volume users can be found in large urban regional hospitals and private laboratories. Low volume users can be found in non-laboratory tests sites within the hospital, physician office labs, small and medium sized hospitals and in community laboratories. This matured industry is continuously trying to reinvent itself by upgrading test processes and test menus. Market growth is modest apart from predicted explosive growth in emerging markets because developed nations account for a very large share of the market. Significant transformations are undergoing in the Clinical chemistry markets due to stringent regulations and advancements in diagnostic technologies, system engineering, automation, and IT technology. Also due to increase in infectious and lifestyle diseases, such as, diabetes and cardiovascular disorders, there is a prediction for significant growth in global clinical chemistry market. Thus, current technologies have sanctioned a better perception of disease procedures. The clinical chemistry market is amplifying, consolidating, and becoming highly competitive with a multitude of openings for various new reagents, calibrators, instruments and other systems. The International Diabetes Federation states that, by 2040 more than 10% of the world’s adult population or around 642 million people will have diabetes. Also the growth in aging population is raising the clinical chemistry market as elderly people are generally prone to infectious diseases and other disorders. A peak in the use of automation in health care and developments in health care infrastructure are expected to create opportunities for the clinical chemistry market. To measure and analyze the levels of proteins, sugars, and other products in the blood, automated devices called Clinical chemistry analyzers are used. Multiple innovations in the department of medical science, have led to the early detection and also found its treatment in the departments of endocrinology, neurology, gynecology, oncology and others too. The global market for clinical chemistry analyzer is projected to expand at a healthy growth rate during the forecast period of 2015 to 2023.The advantages of wet clinical analyzers over dry clinical analyzers, as the former enhances the quality of test results by efficiency, which is likely to boost the clinical chemistry market growth in the next few years. The supreme trend observed not so long ago is the in vitro diagnostics (IVD) industry, the mode of self-testing as contradicting to patients hospital visits. As patients preferred self testing to unending hospital visits, it is one of the biggest factors responsible for the growth of point-of-care testing. 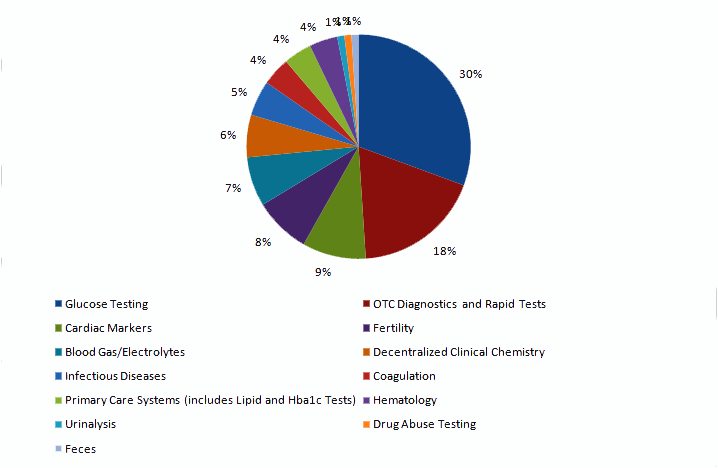 In 2012 Clinical chemistry was responsible for 21.3% of the share of the IVD market. For the next five years, the market for clinical chemistry tests is expected to grow at 3%, i.e from the current USD 17.8 billion to USD 19.7 billion in 2021. Due to advanced medical delivery systems and widespread health insurance coverage major developed economies like West European countries, Australia, Japan US and Canada will account for almost 60 percent of the overall market. However the markets in developing countries will also grow at a faster pace driven by the expansion and upgrade of medical delivery systems. The largest national market for clinical chemistry products. The US is expected to remain the largest national market for clinical chemistry products, accounting for over one-fourth of the global demand in 2021, or more than USD 5.1 billion. The Americas commanded the largest share (42%) of the global clinical chemistry market at an estimated $4,332.3 million in 2013, expected to reach $6,050.6 million by 2018, at a CAGR of 7.2% from 2013 to 2018. By the estimation of the Center for Medicare & Medicaid Services (CMS), health care spending in the U.S. is expected to grow about $4.6 trillion in 2019 from $2.7 trillion in 2011. Germany, in Europe commands the largest share (20%) at an estimated $652.8 million in 2013, expected to reach $853.3 million by 2018.10.12. Clinical chemistry reagents, instruments, and accessories are the three segments by which the global clinical chemistry is analyzed in the market. Each of the three segments experienced a positive growth till 2013, with a market value of $10.3 billion, comprising $8.74 billion for reagents and $1.63 billion for instruments. The growth rate of overall market is projected at a CAGR of 8.3%. Geographically, due to the growth in geriatric population and increase in demand for innovative medical technology, North America dominated the global clinical chemistry market. Another region which is expected to a highly attractive clinical chemistry market due to increasing health care awareness and demand for advanced medical technology is Asia Pacific. So as to gain competitive advantage in the clinical chemistry industry, the key players such as Alfa Wassermann, Or tho-Clinical Diagnostics, Abbott etc are adopting various growth strategies, such as, collaborations, agreements, partnerships, and new product launches. 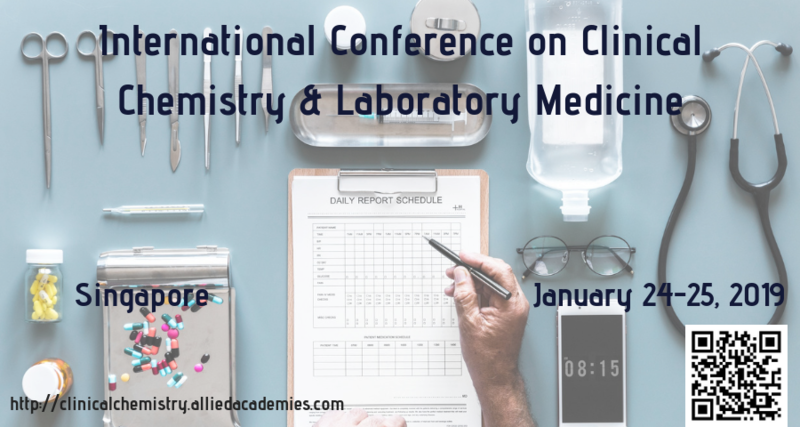 Welcome to the International Conference on Clinical Chemistry and Laboratory Medicine, to be held in Singapore, November 22-23, 2019. 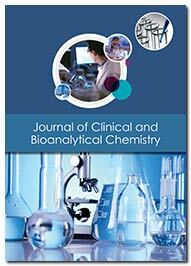 The theme falls on “Investigating the Emerging Trends in the Realm of Clinical Chemistry and Laboratory Medicine”. This international event is organized by Allied Academies Conferences (AAC). We anticipate up to 200+ speakers and delegates from over 40+countries will attend the conference. Clinical Chemistry 2019 conference will focus on the modern and exciting innovations in all areas of Clinical Chemistry research which offers a unique opportunity for investigators across the globe to meet, network, and perceive new scientific innovations. With people from around the world focused on getting some answers concerning Chemistry and Medicine, this is your most obvious opportunity to accomplish the greatest social affair of individuals from the Chemistry Society. To coordinate presentations, proper information, meet the present and potential analysts; make a sprinkle with new enhancements at this 2-days event. Incredibly well-known speakers, the most recent techniques, changes, and the freshest updates in Chemistry are the indications of this gathering. 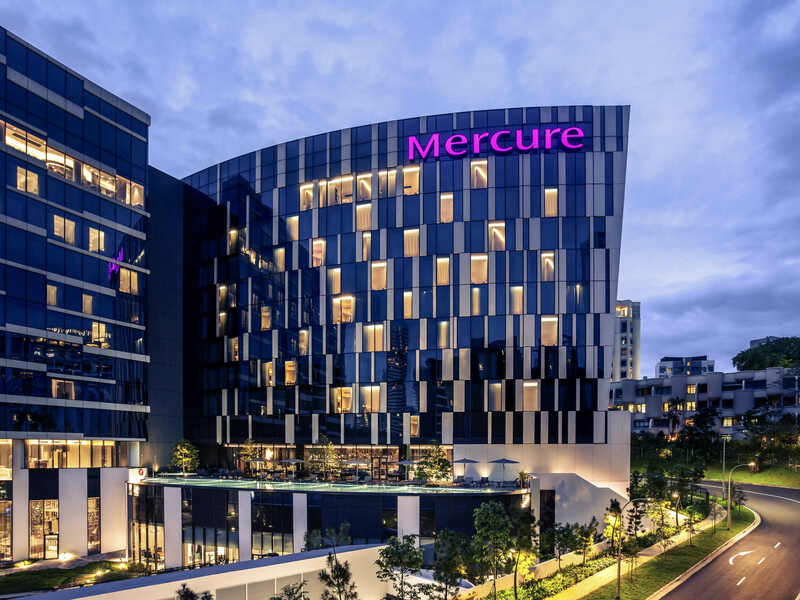 Mercure Singapore on Stevens is about 3 minutes from Orchard Road, Asia's famous entertainment and shopping belt. Explore Singapore with convenient public transport, including a bus stop right.